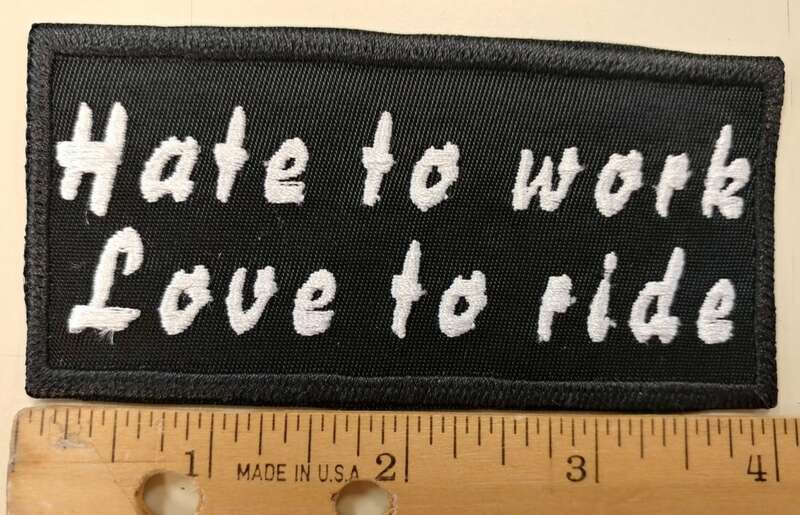 This patch says, "Hate to work Love to ride" It measures 4"W X 2"H and is sewn with white thread onto a black patch background. It has an iron on adhesive to assist with application. 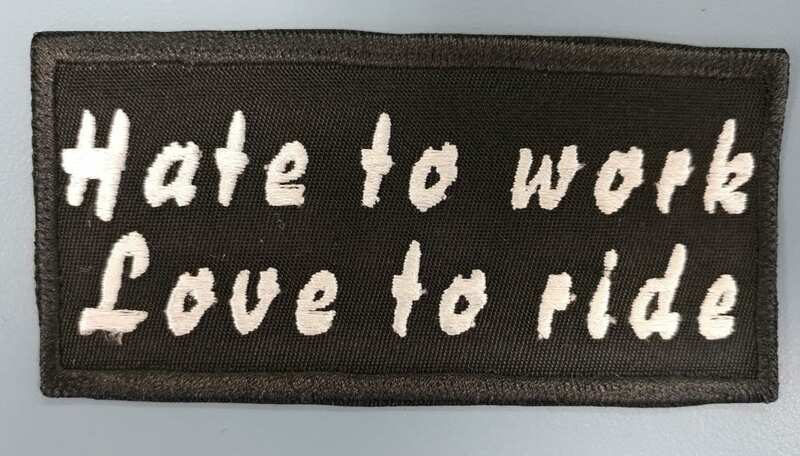 This patch would look great on any of your biker apparel. 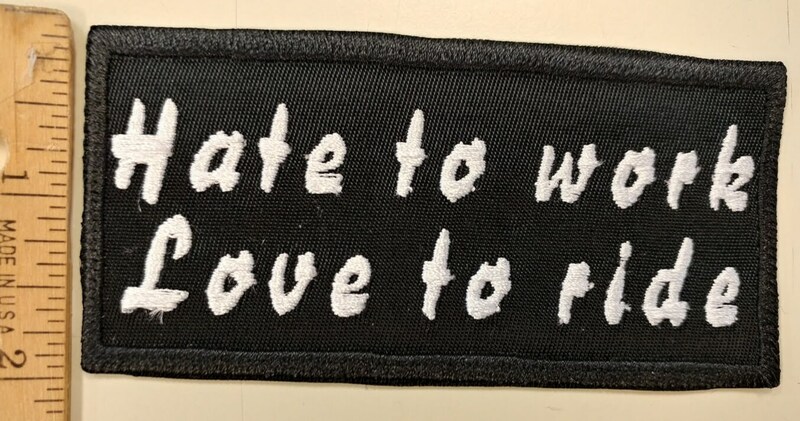 Check out some of my other patches to save on shipping or check out the coupon code to save on orders of 3 or more. 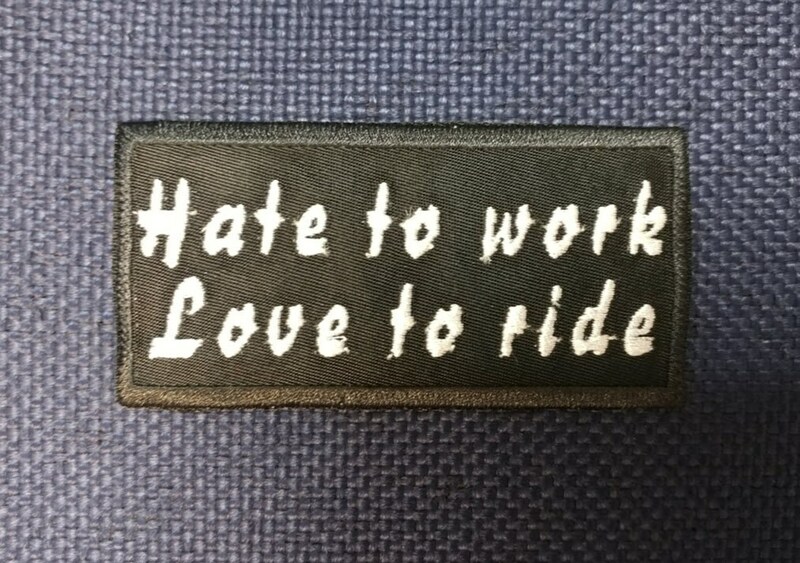 Patches are mailed in 1-5 business days after you purchase them. First class USPS shipping for United States customers.